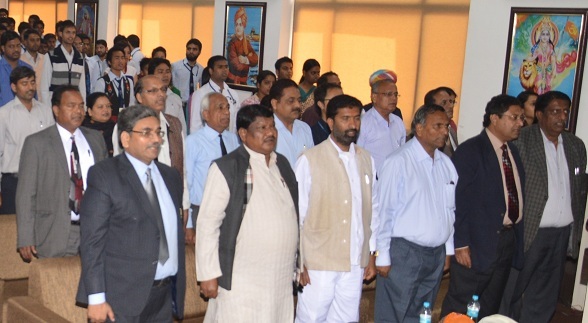 Mewar University is an autonomous body set up by the Government of Rajasthan through Act. No. 4 of 2009 passed by the Rajasthan Legislative Assembly (Government of Rajasthan). The University is recognized by the UGC u/s 2(f) of UGC Act with powers to confer degrees u/s 22(1) of the UGC Act, 1956 vide their letter no. F.9-15/2009(CPP-I) dated 30th March, 2009. This is the only private and self-financed University in Rajasthan which is also approved by the UGC u/s 12B of the UGC Act vide their letter No. F.9-15/2009 (CPP-I/PU) dated 15th October, 2018. The University is also NAAC accredited.